School is out. The weather is nice. And your kids are… bored out of their minds. While blog posts about letting kids experiencing boredom this summer have gone viral, we know that sometimes they need a little help figuring out what to do. 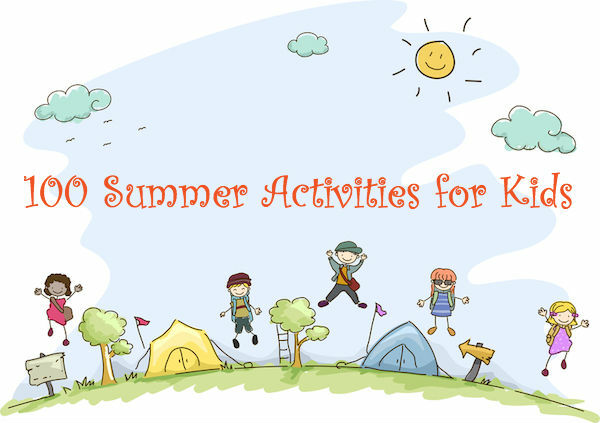 From activities designed to help kids learn and give back to their communities to those focused on making kids a little money and helping them have fun, we’ve gathered the ultimate list of over 100 summer activities for kids. Most of these activities can be done at home, so you don’t have to spend the summer running your kids from place to place. To help prevent kids from experiencing the summer slide, engage them in some educational activities. Last year we shared 15 summer learning activities for all ages. This year, we have a few suggestions to add to that list. 3. Write and direct a play or puppet show. 5. Join a summer reading program, such as one found at your local library or Barnes and Noble. 6. Challenge yourself to finish all of the books on a list, such as the ASLC Summer Reading List. 7. Spend rainy days looking at the resources found on the Ultimate Guide to Teaching Science. 9. Find out what plants are in your yard using a field guide or an app like Project Noah. Summer is also a great time to teach kids to give back to the community through volunteering, taking care of the environment, and other socially responsible activities. Try out a few of these suggestions this summer. 22. Use a service like VolunteerMatch.org to find organizations in your area that need volunteers. Of course, at the end of the day, summer is a chance for kids to have fun. There are lots of ways to have fun at home and in your local community. 55. Paint or draw a picture. 75. See a movie. Many movie theaters, such as Cinemark’s Summer Movie Clubhouse and Regal’s Summer Movie Express play free or $1 kid movies during the summer. Cities and towns also often sponsor summer movies under the stars. Whether it’s Make Something Monday, Wander Somewhere Wednesday, or Fabulous and Fun Friday, there’s plenty of fun to be had all summer long. What do you love to do with your kids in the summer? Share your ideas in the comments to help our list grow!